Since 1934 The Masters has been the proverbial green flag for golfers all across America signifying the beginning of the season. 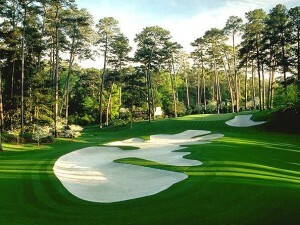 During the 80 years that the tournament has been contested at Augusta National Golf Club hundreds of thousands of patrons have visited the club to witness the best players of the day competing for the title of Masters Champion and the prized green jacket that accompanies the title. With such a long tournament history there are many people who have special ties, bonds and memories associated with Augusta National Golf Club and The Masters. My friend Jim’s family is one of them. When Bubba Watson hit an amazing hook shot onto the 10th green to set up his victory in the sudden death playoff last year, Jim and his family took a special kind of pride in the having the tournament closed out, yet again, on their favorite hole. The 10th hole, or “Camellia” as it is known, is a 495 yard par 4 that is special for a variety of reasons. 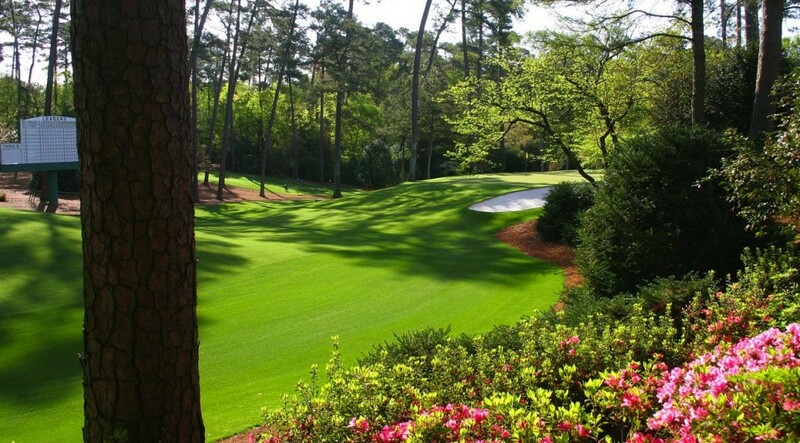 There is the fact that it often plays as the toughest hole at The Masters, the distinctive Alistar Mackenzie bunker in the middle of the fairway and of course the dramatically sloped green that all contribute to the identity of this great hole. For Jim and his family the 10th hole is special because it is “Aunt Jenks’ Hole”. Annie Luckey Johnston (1890-1978), known to her family and friends as “Jenks”, was the younger sister of Jim’s Grandmother which made Jenks a Great Aunt to Jim. Jenks lived in Rock Hill South Carolina where she married fellow Rock Hill resident John Wesley Anderson and spent her free time honing a considerable talent for gardening. Over the years Jenks acquired a particular expertise in grafting camellias which resulted in her developing several varieties of the plant – of which a few were named after her. Anyone who is even casually familiar with The Masters knows about Augusta National Golf Club’s commitment to perfection, so it should be no surprise that Bobby Jones searched out an expert when the camellias that are the namesake of the 10th hole were struggling to stay alive. That search brought him to Jenks. There is a bit of a debate among Jim and the other young cousins whether Mr. Jones – as everyone in their family called him – initiated contact with Aunt Jenks via letter, phone call or a visit, but everyone certainly agrees that when Mr. Jones asked for help with his camellias Aunt Jenks and her driver traveled to the club where her magic touch miraculously brought the sickly plants back to life. After hearing a story like this it’s easy to see where Augusta National’s tradition for the highest standards of excellence came from. Every year when the tournament is on television Jim and his family always take a special sense of pride in the work that their Aunt Jenks did for the club. How many times she returned to work on the camellias after her initial visit is a matter of debate among the cousins as well, but regardless she left her mark on the 10th hole and their family will always consider the long downhill par 4 that starts the second nine to be Aunt Jenks’ Hole.